And it was inexpensive too! Using a $3.99 frame from Walmart I took one piece of Flair paper and a clear sticker and framed it. While I cut the paper and put the birds in a specific order, the paper would actually do this without cutting it. I thought it could make a nice gift for someone or nice to hang in my house. The cost was under $5.00, it took very little skill and took less than 10 minutes to put it together. In real life the sticker is not visible like it is in this picture. What kinds of things are you framing? And I know there's more, I am just to tired to think, so I will leave you guys with a picture from today! 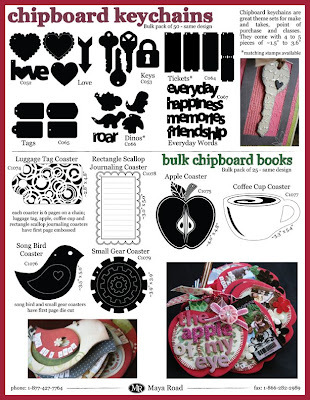 Can we say "I want Donna Downey to teach her new Canvas book in Waxahachie!" Sorry about not posting last night, all the pictures are on Heidi's laptop and she has been having trouble getting them loaded. Plus all the cool video we took yesterday will not load either. But for now we have our pictures with your favorite grunge and distressed artist T!m. He filmed a Taco Tuesday with Cheryl and Megan, so be sure and check that out in the upcoming videos on their website. We could not keep Megan off him, I think she licked his ear during the Taco Tuesday filming! We also ordered a ton from Simply Swank, this is a soldering company. I am really excited about bring all this in the store and teaching soldering classes. It has brought back my days of making stain glass. Yoy guys are going to love this, and those of you that bought the soldering kit at GASC and have never taken it out of the box....its time! And we still have several to hit tomorrow, plus finish checking out the new exhibitors. First I must say, Cheryl and Megan are a blast to hang out with, my stomach hurts so bad from laughing so hard! This was made with all their new molds, is this not beautiful? We dined at Megan's (again on her list) favorite spot, were she said the food was like a party in her mouth. I must say she was right, dinner was awesome! We then headed to the Art Bar were they were doing make-n-takes. This was one of the coolest, artsy places. I thought of you Sherri, you would have felt like you were in heaven. I bought some really cool stuff for you girls to play with. Sorry so short on details, its late and Cheryl told us we must be ready at 7am. I will try and post more tomorrow night. Heidi is helping them tomorrow and I am headed over to Maya Road booth to help Caroline set up. Then we are off to the Creative Imaginations party to see all the new stuff. Its that time of year, we are headed to California to the Winter CHA. Be sure and check our blog out, we will be posting our favorite's and updates of all the goodies. 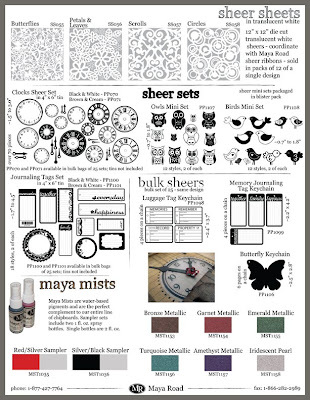 Here is all the new stuff Maya Road is coming out with, and yes we ordered it ALL! We are excited to tell you that it is all shipping, except for a few things, next Friday. So all you Maya Road Junkies can get your hands on it that following Monday! We want to hear from you guys what are your top 3 favorite new Maya Road products and why. When we get back we will pick one of you for a free Maya Road RAK of their new stuff. And we have been busy here at the store. We completed inventory during the first few days of January. During this time we also did some work on the store itself. We have some new display areas and reset the store layout. It was a huge mess and we are all glad to have things back to normal. We do hope that you notice the changes and that they are beneficial to you. 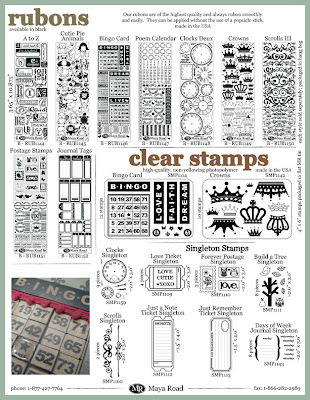 The stamp area and ribbon area have been expanded among other things. In response to requests of our customers, we are expanding the type of class we normally offer this year. 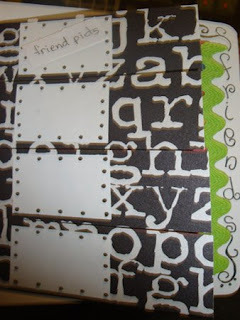 We are trying to offer classes for those of you who are more into card making and stamping. And some for those of you who do mixed media type of work. 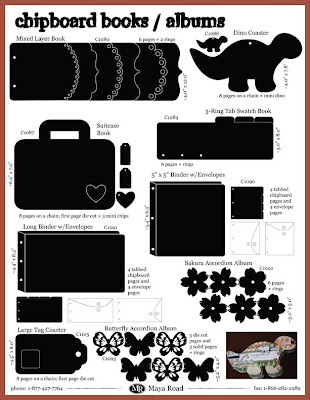 We have even added a beginner scrapbooking class for those who might want to take it. Of course, we will continue to offer the project type of classes that we have always done. We have scheduled a lot of classes to help us determine which classes are fitting the needs of our customers (YOU). Our first class of 2009 was yesterday. This class was for learning to use Copic markers to color stamped images. The class made three adorable cards using Bella Stamps. Those who attended said they learned a lot, so if you are interested, there is a second class for this later in the month. We have added some new products to the store as well. As you might have figured out--if we are doing Copic marker classes and using Bella stamps, then yes, we are now selling them here at the store. We will continue to add to the Copic markers offered. Right now we have about 20 of the colors. To see all of the classes scheduled to this point click HERE. Ten Seconds Studio is coming to teach an awesome class taking us another step with the metal use. 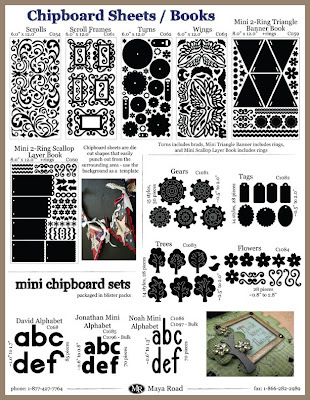 Annette is teaching a chipboard book class. Heidi is continuing the Cricut Basic and Cartridge classes. Heidi also has some other technique and book classes coming up. Brook is teaching the popular album class using an old LP record as well as an interactive book class in February. Sherri is teaching a technique class using Ranger distress inks. 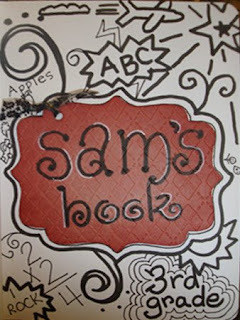 Shannan T will be teaching more copic marker classes. 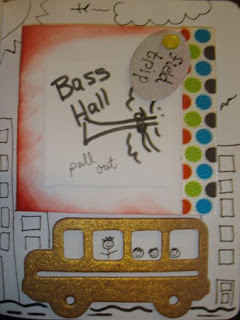 We will be having a guest artist teaching some mixed media classes in April. And there are more already scheduled or ready to be scheduled. You might want to bookmark that link so you can check it regularly. We try to get emails out, but the best thing is to keep checking the website. I hope this post isn't too long, but I had so much news to tell you! Valentine's Day papers are in and still coming in too. Come hang out in the refreshed store, check out the new products and take a class or two. We are planning on a great year with you! 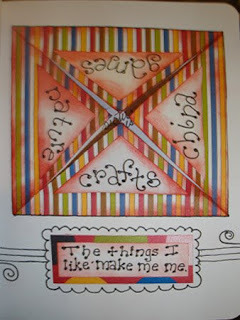 This is a book that I made for a class at The Crafty Scrapper. I will be teaching the class on February 28th. This is a sweet little KI composition notebook. I used my new Dream Cuts to create this really cute memory book. I did some doodling and some Cuttlebugging. 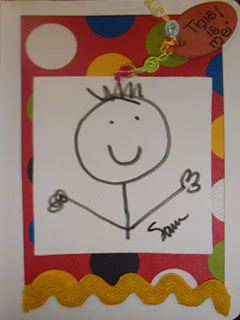 I don't want all of Sam's picts to get messed up, so I drew some picts of him to help you visualize. This is a page for friends. There is a place for four friend picts. Then you lift the flap to write about each friend. 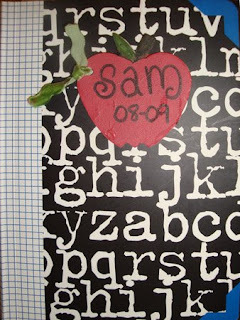 This little page was made so all Sam's interests could be recorded and when we lift up each triangle, we will see Sam. 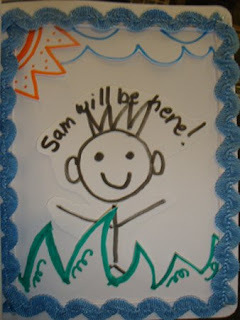 This is a pop-up box that will have pictures of Sam throughout the year so we can see how it changes. This is an accordian album where I can put all the picts from his field trip. This page has many layers. It is a 3-D page. This book is just a lot of fun. I love it!